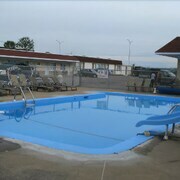 Motel Olympic features an outdoor pool and a picnic area. Public areas are equipped with complimentary wireless Internet access. Complimentary self parking is available on site. Motel Olympic is a smoke-free property. 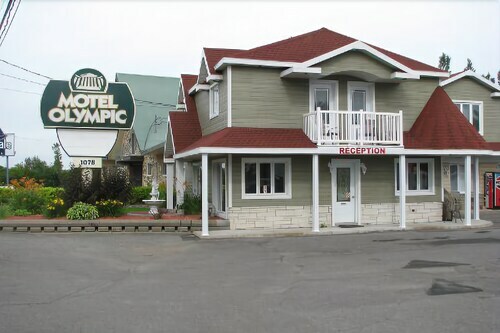 Located in Beauport, this motel is 2.6 mi (4.1 km) from Parc de la Chute-Montmorency and 2.8 mi (4.6 km) from Montmorency Falls. Domaine de Maizerets and L’Enfant-Jesus Hospital are also within 3 mi (5 km). 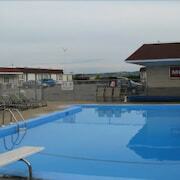 Along with an outdoor pool, this smoke-free motel has a picnic area and free self parking. WiFi in public areas is free. 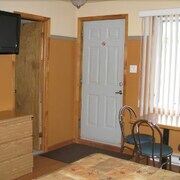 All 24 rooms provide conveniences like refrigerators and coffee makers, plus free WiFi and cable TV. Free local calls, hair dryers, and free toiletries are among the other amenities that guests will find. 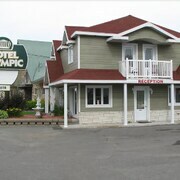 Motel Olympic offers 24 air-conditioned accommodations with coffee/tea makers and hair dryers. Televisions come with cable channels. Bathrooms include shower/tub combinations and complimentary toiletries. Guests can surf the web using the complimentary wireless Internet access. Business-friendly amenities include phones along with free local calls (restrictions may apply). Microwaves and irons/ironing boards can be requested. Housekeeping is provided daily.